Visualize your new smile with the Brace Painter! Braces at Banasiak & Nettune Orthodontic Associates are more fun than ever! 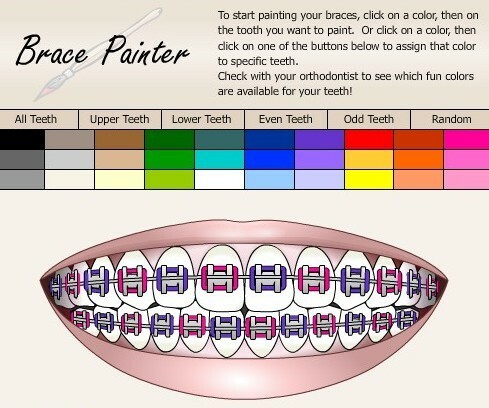 With the Brace Painter, parents and children are able to “paint their braces,” and visualize how teeth will look with different colors of bands. Would you like to try out pink and purple bands this February, without the commitment of an all-out Valentine’s Day look? 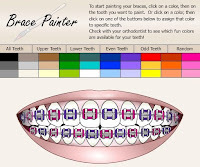 The Brace Painter allows for you to select different colors, and then assign those colors of bands to certain teeth. Now, you can visualize your braces before you even come in for your appointment! As always, please let Drs. Roger Nettune or Kenneth Banasiak know if you have any questions about the Brace Painter, or your orthodontic treatment at Banasiak & Nettune Orthodontic Associates. Have a great week!